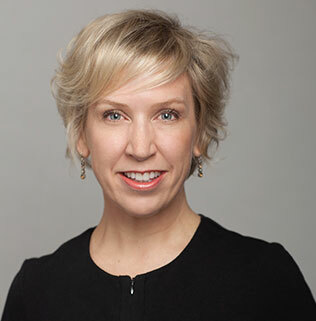 Shelly Ibach, Sleep Number® setting 40, is president and chief executive officer of Sleep Number Corporation (NASDAQ: SNBR), the sleep innovation leader delivering the best quality sleep through effortless, adjustable comfort and biometric sleep tracking technology. As CEO of Sleep Number since June 2012, Shelly has combined her passion for delivering increased value to the consumer with her visionary leadership to develop innovative sleep experiences and deliver superior shareholder returns. She has positioned Sleep Number at the intersection of sleep, health, and technology trends, and is a thought leader shaping the growing understanding that sleep is at the center of health and wellness. After joining the company in April 2007, Shelly served across a wide breadth of executive leadership roles in consumer strategy, sales, marketing and product development, including Chief Operating Officer in 2011. Prior to Sleep Number, Shelly honed her instincts as an expert retailer and brand marketer during her 25-year tenure at Target Corporation and Macy’s. Shelly serves on the executive committee of the Minnesota Business Partnership, an organization comprised of presidents and CEOs from Minnesota companies focused on further enhancing the region’s quality of life. Shelly has served on the board of trustees for The Goodman Theater, located in Chicago, and as a retail associate advisor for her alma mater, the University of Wisconsin – Stout. Based in Minneapolis, Sleep Number’s 2017 net sales were $1.44 billion. The company employs more than 4,000 team members and operates over 550 Sleep Number® stores located in all 50 U.S. states. 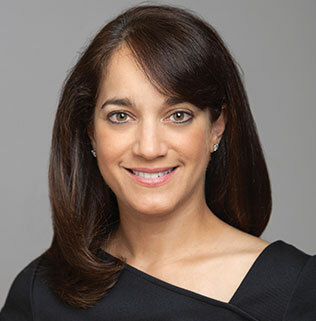 Melissa Barra, Sleep Number® setting 30, serves as the Senior Vice President, Chief Strategy and Customer Relationship Officer for Sleep Number. In this role, she is responsible for developing and integrating the company’s customer-focused strategy and overseeing the organization’s customer relationship centers, consumer insights and data analytics, social responsibility program, and communications and public relations teams. Melissa joined Sleep Number in February 2013 as Vice President, Consumer Insights and Strategy. She was promoted to her current role in January 2015. Melissa is relentless about putting the customer first, with the goal of adding meaningful value to their lives with relevant innovations and exceptional experiences. She leads by communicating openly and inspiring her teams to always raise the bar – using insights, the voice of the customer, and strategic operations to deliver sustainable solutions. Prior to joining Sleep Number, Melissa held a variety of senior leadership roles in Finance, Strategy and Corporate Development for Best Buy Co., Inc. (2005-2012). Previously, she also held corporate finance and strategy leadership roles domestically and internationally at Grupo Futuro, Citibank, and GE Capital. She has an undergraduate degree from the University of Notre Dame, and an MBA from the University of Chicago Booth School of Business. Melissa serves on the Board of Trustees of Blue Cross Blue Shield of Minnesota, and is a member of the Corporate Investment and Development Committee and of the Human Resources Committee. She also sits on the Board of Advisors for Antenna Marketing Consulting and Appriss Retail. In the community, Melissa is dedicated to diversity and inclusion, serving on the Board of Directors of the YWCA Minneapolis. She enjoys cooking, running, and planning her next travel adventure with her husband and two sons. Annie Bloomquist, Sleep Number® setting 25, serves as the Chief Product Officer for Sleep Number and leads all product innovation — including the revolutionary SleepIQ® technology platform — handling research and development, product brand management, and merchandising to further develop smart, connected biometric solutions to improve sleep and wellness for Sleep Number customers. Recognized as a leader of meaningful innovation who envisions transcending products and experiences that deliver quality results, Annie has been instrumental in driving Sleep Number’s revolutionary innovation roadmap, which has transformed the company’s position from a mattress company to a product technology leader. Previously, Annie was the Chief Product and Merchandising Officer at Sleep Number. Annie joined Sleep Number in May 2008 as Vice President and General Merchandise Manager. Prior to joining Sleep Number, Annie held leadership positions in product and merchandising at Macy’s and Marshall Field’s Department Stores for Target Corporation. Kevin K. Brown, Sleep Number® setting 40, serves as the Senior Vice President and Chief Marketing Officer for Sleep Number. He is responsible for building the Sleep Number brand through telling stories that emotionally connect around the benefits of life-changing sleep. These stories set Sleep Number a part by communicating the company’s product innovations and driving brand advocacy across all customer touchpoints. He oversees the strategy, planning and execution of the overall brand expression, brand experiences, digital engagement, media, customer loyalty programs, and strategic marketing partnerships. Kevin is fueled by telling incredible stories, building and leading a world-class marketing team, and uncovering strategic partnerships that help the brand connect with its customers. He is passionate about identifying opportunities in the unexpected and finding solutions to problems that no one knew existed. Before joining Sleep Number in January 2014, Mr. Brown served as Group Vice President, Chief Marketing Officer for Meijer, Inc., a regional chain of retail supercenters, (2011-2013), and held marketing leadership roles at Sears Holdings Corporation (2007-2011) and Jo-Ann Stores, Inc. (2004-2006). Prior to Jo-Ann Stores, he was an associate partner for Accenture. Kevin is an active member of his local community, supporting his children’s school, church and the Minneapolis Children’s Hospital. One of his core principles is stewardship – seeking to make a difference everyday by positively impacting the lives of those around him. 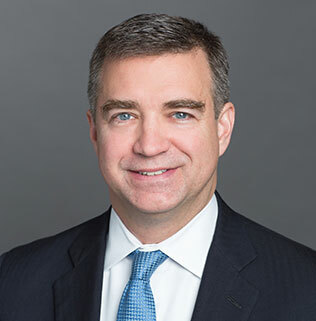 David R. Callen, SLEEP NUMBER® setting 30, serves as the Senior Vice President and Chief Financial Officer for Sleep Number. 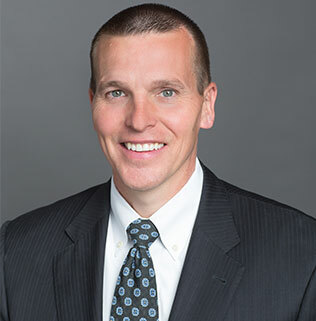 Prior to joining Sleep Number in April 2014, Mr. Callen served as the Principal Financial Officer, Vice President, Finance and Treasurer for Ethan Allen Interiors, Inc., from 2007 to 2014. Previously, Mr. Callen served for more than 15 years in increasingly responsible international financial management positions, emphasizing brand support and manufacturing across industries including automotive, dental, outdoor recreational products, high tech and public accounting. 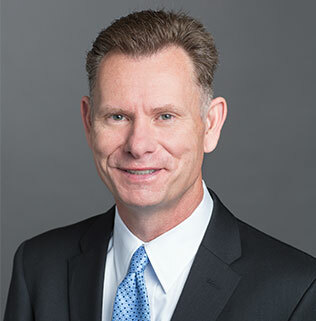 Andy P. Carlin, Sleep Number® setting 55, serves as the Executive Vice President and Chief Sales and Service Officer for Select Comfort and leads all sales channels, real estate and home delivery operations. From June 2012 to April 2016 Mr. Carlin was Senior Vice President and Chief Sales Officer, from May 2011 to June 2012 Mr. Carlin was the Vice President and Chief Sales Officer, and from January 2009 to May 2011 he was the Vice President of U.S. Retail Sales. Mr. Carlin joined Select Comfort in January 2008 as Regional Vice President, East Region. Prior to joining Select Comfort, Mr. Carlin spent more than 20 years in sales leadership roles for companies including Senior Vice President of Store Operations at Gander Mountain from 2003 to 2008, Kohl’s Department Stores from 1995 to 2003 and the department store division of Target Corporation from 1986 to 1995. 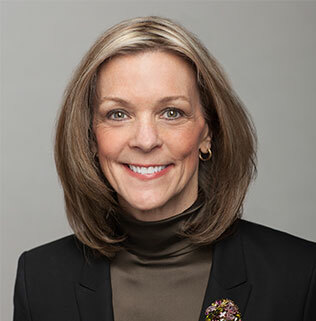 Patricia A. Dirks (Tricia), SLEEP NUMBER® setting 30, serves as the Senior Vice President and Chief Human Resources Officer for Sleep Number and leads all human resources functions. Prior to joining Sleep Number in April 2014, Ms. Dirks served as Senior Vice President Organizational Effectiveness for Target Corporation. From 2004 to 2009, Ms. Dirks was Vice President Headquarters Human Resources for Target Corporation. Prior to 2004, Ms. Dirks was Senior Vice President Human Resources at Marshall Field’s of Target Corporation. Samuel R. Hellfeld, SLEEP NUMBER® setting 65, serves as the Senior Vice President, Chief Legal and Risk Officer. 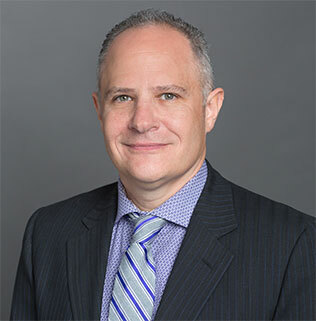 Mr. Hellfeld was Vice President, Associate General Counsel from October 2015 to September 2018. Mr. Hellfeld joined Sleep Number in March 2013 as Director, Intellectual Property Counsel. Mr. Hellfeld was a Partner in the law firm of Fox Rothschild LLP (fka Oppenheimer Wolff & Donnelly LLP) practicing in the areas of intellectual property and litigation. 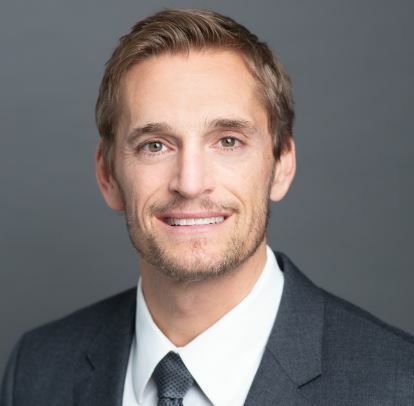 Prior to 2010, Mr. Hellfeld was an Associate at several law firms and also served as Law Clerk in the United States Court of Appeals for the Ninth Circuit and the United States District Court, Southern District of California. Suresh Krishna Sleep Number® setting 40, serves as Senior Vice President and Chief Operations, Supply Chain and Lean Officer of Sleep Number. Prior to joining Sleep Number Mr. Krishna joined Polaris in 2010 as Vice President of Global Operations and Integration, leading a 6,500+ person operations organization and driving a culture change to embrace lean across the entire enterprise. In July 2014 he was promoted to Vice President and Business Unit Head of Europe Middle East & Africa (EMEA) for Polaris, where he was responsible for a full P&L with factories, R&D centers, subsidiaries, distributors and dealer networks across more than 60 countries. From 2007 to 2010 he served as Vice President Global Operations, Supply Chain and IT at a division of UTC Fire & Security. 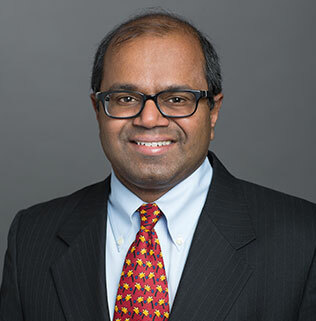 Krishna also served in a variety of roles for Diageo, including Vice President of Supply Chain, North America; as a Program Director for an ERP implementation; and as a Director of Strategic Planning and Finance. Earlier in his career he was an associate at Booz Allen & Hamilton. Hunter Saklad, Sleep Number® setting 50, is the Senior Vice President, Chief Information Officer at Sleep Number. From June 2011 to December 2012, he served as the Vice President, Consumer Insight and Strategy at Sleep Number. From March 2006 to June 2011 he was Vice President of Finance and held a variety of positions across Finance serving business partners in marketing, sales, supply chain, FP&A, investor relations and treasury. Mr. Saklad joined Sleep Number in October 2004 as Sr. Director of Finance. Prior to joining Sleep Number, Mr. Saklad held finance-leadership roles at Ford Motor Company and Visteon.